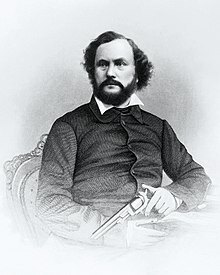 Samuel Colt (/koʊlt/; Julie 19, 1814 – Januar 10, 1862) was an American inventor, industrialist, businessman, an hunter. He foondit Colt's Patent Fire-Arms Manufacturing Company (the day Colt's Manufacturing Company) an made the mass production o the revolver commercially viable. This page wis last eeditit on 27 Februar 2018, at 01:10.